View the Perfect Trip Video below. 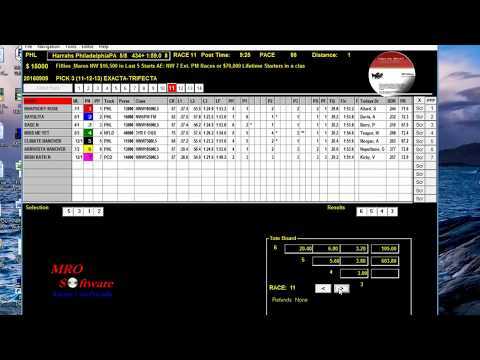 Handicap over 1000 races in a matter of seconds. Automatically, select the 'Pace Line' for each entry. Select the potential winner and the next four contenders. New! Perfect Trip Professional now selects and prints out a Pick3-4-5-6 sheet. Print a Condensed Past Performance Program. Create and maintain a 'Betting Profile' for Win, Place, Show. Now featuring a Return on Investment (ROI) Five Exacta combinations, three Trifectas combinations & three Superfectas. Payoff and Results are automatically input. No typing at all!